353 pp. As new, no spine creases or markings, appears unread. A collection of essays on the civil war for "Greater Serbia" that followed the disintegration of Yugoslavia in 1991. 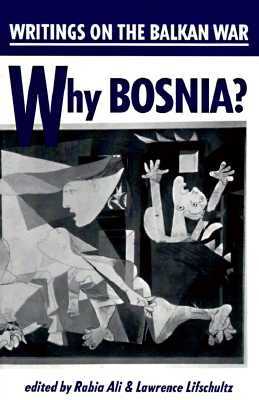 The focus is multicultural Bosnia -- its significance, symbolism and necessity for survival. Among the contributors, besides the editors: Shkelzen Maliqui, T.D. Allman, Smail Balic, Orhan Bosnevic, David Rieff, Ivo Banac, Mark Thompson, Kasim Trnka, and Bogdan Denitch. Keywords: WAR. EUROPE. BOSNIA. SERBIA. HERZEGOVINA.